One of the main reasons for a child to become Special needs is brain injury before, during or after birth. A brain injured child will either have a problem with the sensory pathways (incoming) or the motor pathways (outgoing) or both. When a person cannot see, hear or feel properly, he or she cannot respond to the world around him normally. When a brain injury is severe, the child would be functionally blind, deaf, insensate, paralyzed and speechless. We provide therapies for special needs children of age group two to seventeen years old. When a brain injury is moderate, the symptoms would be a child who can not use both eyes together properly, lacks the fine tuning to handle the common sounds in the environment. The child will be either very sensitive to touch or not sensitive enough to touch and a child may not yet be able to work at age level in regards to moving or talking or use his hands. When traumatic brain injury(TBI) is mild, the child would not be able to read, write or do math at age level and who may lack the balance, coordination, language and manual competence of his peers. All these are the best foreign therapies for special needs children. A brain injury could have many symptoms. This is quite obvious as the brain runs everything. When the brain becomes disorganized, the symptoms could range from daunting (seizures, rigidity, severe ill health, failure to thrive) to unusual (screaming, repetitive actions, biting, smelling, and tasting inadequate) to a hundred other symptoms that may seem odd, funny or simply mysterious. Special needs children are diagnosed based upon these frightening or bizarre symptoms. Rather they should be diagnosed based upon a thorough evaluation of the brain. A symptomatic diagnosis leads to treatment of the symptom, thereby ignoring the underlying problem that resides within the brain itself. No matter how strange or hard to comprehend a symptom may be, there is always an underlying cause for that symptom. Once we evaluate the special child and prepare a child’s Developmental Profile, many of these inexplicable symptoms start making sense. When appropriate stimulation and opportunity is provided to the brain, these symptoms start to decrease or even disappear. Unfortunately, a good brain can get hurt in many ways. We have seen the children who get hurt in utero because of some injury or illness that mother experienced as the baby was developing (trauma, Rh incompatibility, German measles, hydrocephaly, drugs, alcohol). Often problems may occur in the first nine months that are not obvious to mother or her physician (hydrocephaly, oxygen deprivation). Sometimes an injury may occur during the delivery (compression of the umbilical cord, placenta abruption, C-section, prolonged, placenta previa, precipitous, or delayed) or before the delivery (premature, postmature), or immediately after the delivery (seizures, cardiac arrest, respiratory distress, jaundice, stroke) of the baby. Some special needs children could have surgical complications (oxygen deprivation, blood loss, cardiac arrest, septic shock), an illness (chicken pox, encephalitis, measles, meningitis, Lyme disease), reaction to medication (antibiotics) or a brain injury (sports concussions, explosions, near drownings, gunshots, car accidents, falls), or an adult illness ( stroke, Parkinson’s disease) that injures the brain. Some genetic problems can cause injury to the brain (Down syndrome, Cri de Chat, Miller-Dieker syndrome, Wolf-Hirschhorn, Angelman syndrome, Pallister-Killian syndrome, Dandy-Walker syndrome, etc). We don’t treat genetic problems, but children who have genetic problems are also brain-injured. They have the same chance of recovery that other hurt children have. Other special needs children may have excessive fluid in the brain (hydrocephaly), a brain tumor or a blood clot (hematoma) or craniostenosis. These conditions may require neurosurgical intervention. Mostly these conditions get handled before the child is seen by us. If these conditions have not yet been diagnosed, before a child comes to us, such intervention will be recommended. Sometimes a child may have a progressive worsening of the brain. We do not have a treatment program for progressive brain disease. Each child is reviewed with great care to determine if IIAHP can offer help to improve the quality of the child’s life with this brain injury information. Some children have diseases that do not start in the central nervous system but instead originate in the peripheral nervous system (spinal cord injuries, polio, muscular dystrophy). Our programs cannot help children with these problems. Irrespective of the initial insult that begins the process of the brain injury the result is a decrease of oxygen to the brain. Oxygen is the primary food of the brain. If oxygen is cut off or decreased, the brain will suffer. Brain growth was thought to be a static and unchangeable fact. Rather brain growth and development are an ever-changing and dynamic process. A profound brain injury can stop this process. Brain growth and development can be slowed by moderate brain injury, but most importantly proper stimulation can speed up this process. 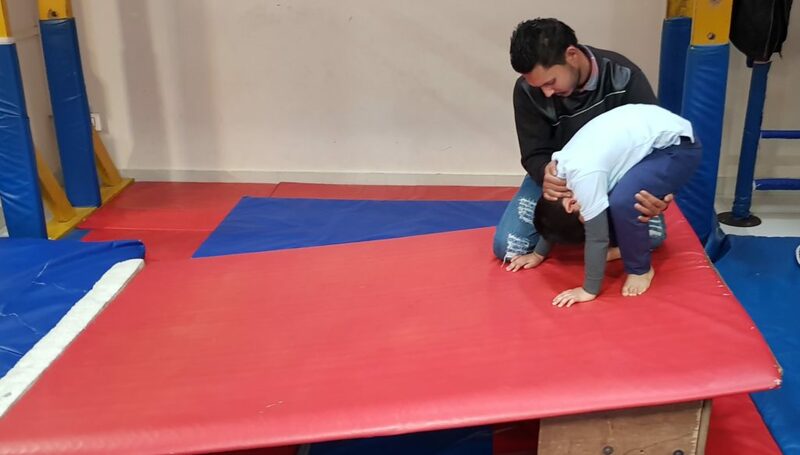 We speed up Brain growth and development by increasing the frequency, intensity, and duration of visual, auditory and tactile stimulation in accordance with the orderly way in which the special child brain develops. We then provide maximum opportunity for the child in an ideal environment to use and develop the motor pathways. Our interventions are based upon the fact that the brain grows by use. Scientists now believe in the plasticity of the human brain and confirm that the brain is very much capable of recovery and rehabilitation. This is called neuroplasticity. An injured brain can recover and become well. If your child has been diagnosed, and you want to be sure whether your child is brain-injured or not, contact us. Children diagnosed with autism, cerebral palsy, developmental delay, attention deficit disorder, hyperactivity Trisomy 21 (Down syndrome), learning problems, dyslexia, and many other symptomatic diagnoses are considered hopeless by most doctors and professionals. There are more than 100 labels that are used to diagnose special needs children. Most of these labels are not useful diagnoses, but instead, they just describe the symptoms of brain-injured children. To be successful one must treat the brain, as the injury actually exists in the brain. Foreign Therapists visit IIAHP twice a year for teaching new techniques for the treatment of special needs children. Senior Staff of IIAHP takes training in foreign countries to keep the team up to date about the latest techniques for best results. For the convenience of parents 100% area is under CCTV surveillance and parents are allowed to check footage if they have any doubts in their mind. The advanced intellectual program that includes Reading, Encyclopedia, Maths, etc for all-round development of special needs children. 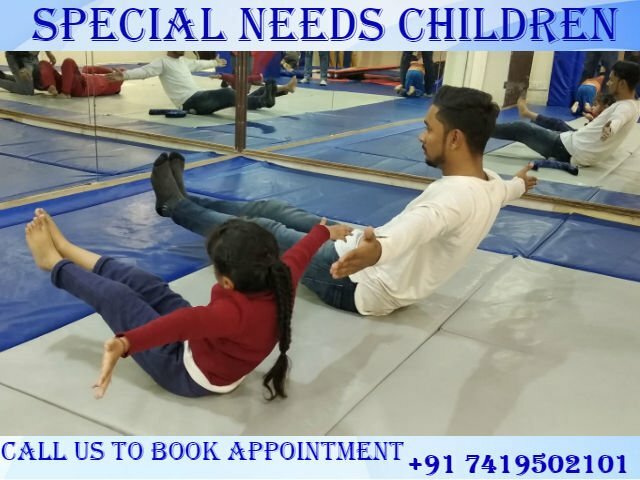 We provide therapies for Special Needs Children, Autism Treatment, Down Syndrome Treatment, Cerebral Palsy Treatment, Speech Therapy, ADHD Treatment, Dyslexia Treatment, Developmental Delay Treatment, Mental Retardation Treatment, Slow Learners Treatment, etc.